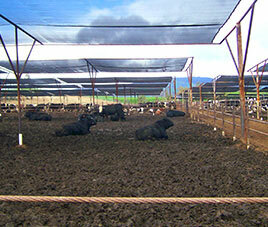 Western Ag custom-fabricates hay tarps for all sizes, with lease and installation provided in certain areas. Providing the highest quality silage-covering services available. Western Ag fabricates athletic field covers of various sizes using the best fabric in the industry. With over 30 years experience, both making and installing custom hay tarps, you can be assured that you are getting the best quality hay tarps on the market today. Western Ag utilizes the highest-quality silage plastic, as well as fast and efficient service, to ensure spoil-free silage. Our state-of-the-art manufacturing facilities produce a wide variety of athletic field covers, with reinforcement surrounding the perimeter. Western Ag Enterprises also has service crews through the country to provide installation service and/or maintenance if needed. Please feel free to contact Western Ag Enterprises for all of your Fabric needs.